Professional journalist and documentarist, he has worked for the press, radio, television and news agencies. He began working at a cub reporter in 1946 at the Messina offices of the Giornale di Sicilia under the guidance of his father, Giuseppe Maria Ardizzone. He worked as a freelance for a number of dailies, the Italia, Reuters and Associated Press news agencies as well as various press offices. He was co-author of the Cinegiornale Sicilia newsreel and of a series of documentary films on post-war reconstruction for the Ministry of Public Works. In the 1950’s he was the curator for a series of exhibitions – Mostra Messina Turistica – in a number of European countries.. He worked as a reporter for the Gazzetta del Sud and then the Tribuna del Mezzogiorno before joining the Palermo regional office of Italian public broadcaster Rai in 1965. 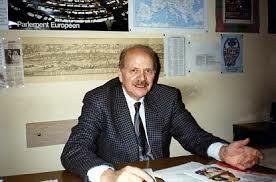 In 1976 he transferred to the Rai central office in Rome where he founded the GR3 radio news service. Here he covered a variety of managerial roles and also produced a series of specialist features, arts, international affairs and investigative programmes until 1993. For more than a decade he was the editor in chief for the daily current affairs programmefocussing on Europe “Succede in Europa” and – in collaboration with the BBC and DLF – the weekly programmes “Europa”, “Quadrante Internazionale” and “Press House” – the first review of the foreign press on Italian radio. A former member of the Rotary Club in Messina, Palermo and Rome, Ardizzone is a spokesman for the Association of European Journalists and a member of the European Press Club and of Unipax, the World Union for Peace and the Fundamental Human Rights and the Rights of Peoples, an NGO associated with the department of information of the United Nations.